When Christmas season rolls around every year, there is always one sure fire tradition in my family and countless others; Christmas movies and specials. At the top of the list, the true cream of the crop lays one movie for almost anyone, and while some old timers would say “A Christmas Story”, the rest of us know that belongs to Home Alone. Directed by Chris Columbus and written by the late and great John Hughes and released in 1991, this is a true gem of a classic that continues to stand the test of time unlike many movies before and after. It stars Macaulay Culkin as eight year old Kevin Mccallister who is accidentally left alone by his family as they make their way to Paris for a Christmas vacation. Hilarity and heart warming moments quickly ensue. It’s not often when slap stick humor in a super lovely family film works this well. Joe Pesci and Daniel Stern hold a large bulk of this movie up on their performances alone as the Wet Bandits, two small time crooks set to rob and steal from the neighborhood where Kevin resides as most families have left on vacation. The sometimes elaborate and crazy traps Kevin sets for them are some of the most memorable moments in all of film for me. These scenes never lose their charm or humor. You will also notice and marvel at the brilliant use of the colors red and green as the entire movies sets and costumes include some shades of red and green. It is a subtle but warming tribute to the season. Musical scores are also timeless and very memorable, if not just the Christmas pop songs, the Home Alone theme and the like are some of the most recognizable movie scores ever. If the plethora of well done cast and characters don’t leave an everlasting impression on you, the music sure will! 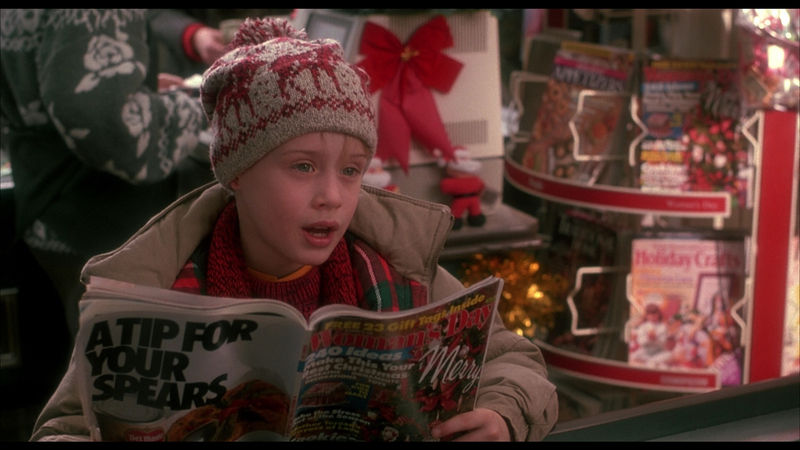 If you are ever in need of the ultimate pick me up and feel good Christmas movie, look no further than Home Alone. Full of laughs, cheers, tears and smiles this movie is sure to set the fire under anyone not feeling the holiday spirits. Next Vancouver Vacation – What makes it so unique and special?